Monkfish, Lophius piscatorius, is usually found in the coasts of Europe. 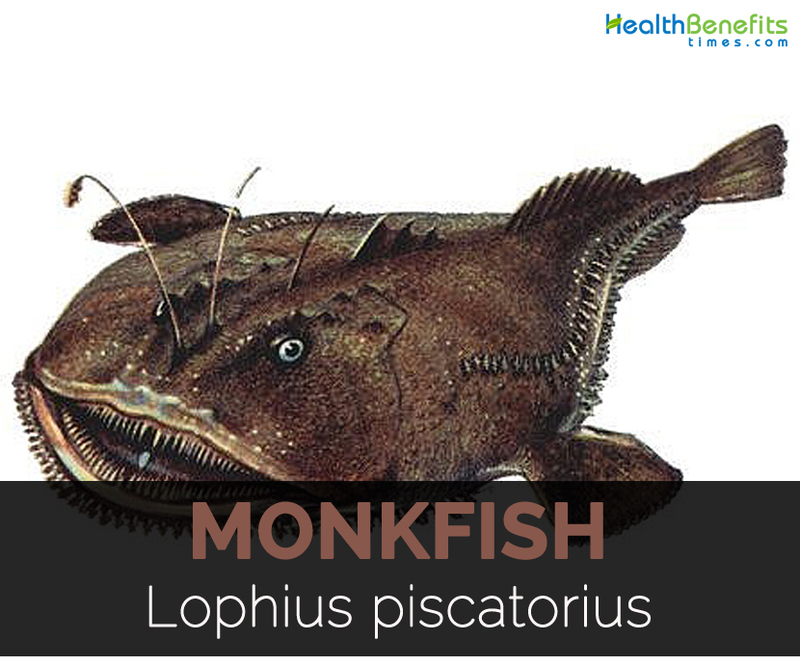 Other common names for Lophius piscatorius are Monkfish, frog-fish, fishing-frogs, sea-devils, goosefish, angler-fish and headfish. Monkfish has large, flat, broad and depressed head with wide mouth and pointed teeth which are prone inwards. It has the lifespan of 24 years. It has tapering body and grows upto 200 cm long. The color of body is mottled brown with glossy skin, white belly and scaleless. The meaty flesh is lean and bright white. The cooked monkfish has sweet flavor and mild taste. It uses the modified fin ray to attract its prey such as spurdogs, sand eels, rays, sea snails, sculpins, cod, pouting whiting, flatfishes and haddock. In 85 grams of cooked Monkfish, we could find 66.73 grams of moisture, 82 calories, 15.78 grams of protein, 1.66 grams of total lipid fat and 1.32 grams of ash. The same serving size offers 72.36% of DV for selenium, 43.48% of DV for isoleucine, 43.33% of lysine, 40.23% of DV for tryptophan, 39.32% of DV for threonine, 38.49% of DV for valine, 37.74% of DV for histidine, 36.67% of DV for cobalamine, 34.71% of DV for leucine, 31.56% of DV for protein, 31.14% of DV for phosphorus, 18.08% of DV for pyridoxine and 13.59% of niacin. Monkfish is packed with various vitamins, proteins and minerals that is required for the maintenance of good health. It has high content of omega-3 fatty acids that lowers the chances of heart ailments and assist the nerve function. It is usually served with baked potatoes, whole rice and grilled vegetables. It is packed with antioxidants which prevents the damage made from free radicals. Due to the presence of Vitamin B6 and B12, it increases the myelin production and promotes brain functions. Vitamin B12 lowers the cholesterol level in the body. It controls the level of triglycerides that maintains the function of heart. 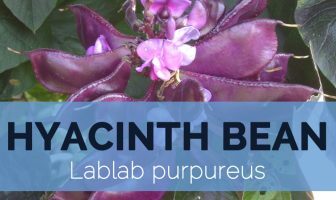 It helps to cure Alzheimer’s disease by showing the symptoms such as cognitive degeneration and confusion. This disease is caused due to the low presence of Vitamin B12. Pyridoxine helps to treat the emotional disorders. Its deficiency affects the hormones due to which it might cause emotional disturbance. The adequate consumption of Vitamin B6 is essential for treating the emotional disorders. Pyridoxine is essential to maintain the skin health by treating the skin ailments such as dandruff, hair loss, acne, eczema and dry skin. It also helps to treat psoriasis and melanoma. Niacin helps to convert carbohydrate, protein and fat into energy. The conditions such as mental derangement could be treated with medicinal drugs and niacin supplements. Due to the high content of mercury, it should be consumed in limited amounts. The people with health ailments or pregnant women should consult a doctor for consumption. The flesh is stir-fried, pan-fried, poached, roasted and barbecued. It could be added to soups and stews. In Japan, the livers of Monkfish are rubbed with salt, soaked in rice wine which is steamed and served with vegetables or herbs. Monkfish could grow up to 150 cm (4.9 ft.). Mostly, it spends its life on ocean floor. Swordfish, thorny skates and sharks are its natural enemies. The mating season occurs from February to October. Female lays about one million of buoyant eggs in a season. It reaches to sexual maturity at four years of age. Male monkfish survives for 7 years and female for 13 years. They are renowned for its tail meat. It is also regarded as allmouth. Monkfish is the fish with strange and terrifying look. Due to different adaptations, it makes them able to catch its prey. The head has protuberance which could be moved in various directions which attracts small fish. It has large head and large mouth with sharp teeth. The hinged teeth of monkfish allow holding the preys in the jaws of Monkfish. Due to expandable stomach, it could consume large fish. It is considered to be the ugliest fish in ocean. They are found at the depth of 1800 meters on shallow waters. Calories in 3 oz (85 gm) 82 Kcal. The people with health ailments or pregnant women should consult a doctor. It is stir-fried, pan-fried, poached, roasted and barbecued. It is added to soups and stews. In Japan, the livers are consumed with vegetables. Monkfish grow up to 150 cm (4.9 ft.) in size. It swallows its prey whole. Its mating season is from February to October. Female lays one million of buoyant eggs. It is also known as allmouth. Calories 82 Kcal. Calories from Fat 14.94 Kcal. Calories 65 Kcal. Calories from Fat 11.61 Kcal.